Courtesy of Ascent Real Estate, Inc, Christie Golemb. This is a rare opportunity to transform a house built in 1969 into a dream modern home with 180 degree panoramic views of Los Penasquitos Lagoon and forever views of the ocean. The value is in the over-sized lot (14,500 sq.ft). The garage has been converted to a bedroom and a family room was added downstairs so the actual living area is 2728 sq.ft. It is assumed that both of these were done without permits. Is being sold in as-is condition. This property lies in the jurisdiction of San Diego. 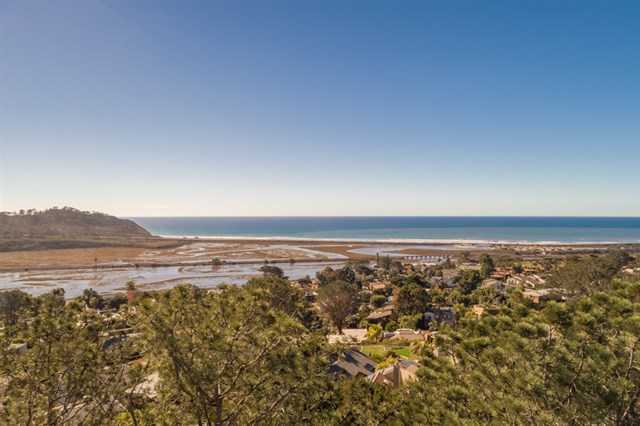 Please, send me more information on this property: MLS# 180066941 – $2,300,000 – 12996 Via Latina, Del Mar, CA 92014.